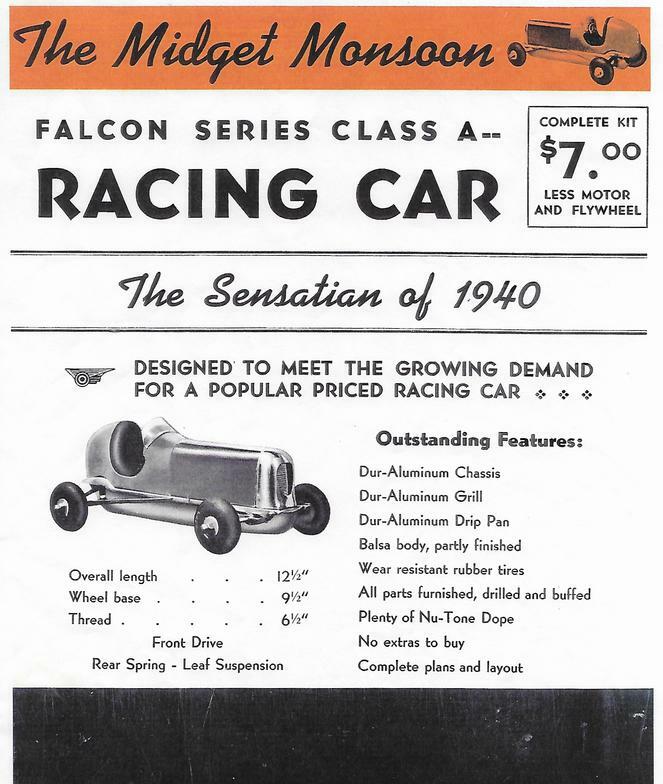 The Midget Monsoon was advertised in 1940 as being a Class A racing car. Available only as a partially finished kit, the car sold for $7.00 less engine and flywheel. Included in the kit were the dur-aluminum chassis, grille and belly pan, a partially finished balsa wood body, wheels and tires, and "plenty of Nu-Tone Dope" to finish the body. All of the dur-aluminum parts were drilled and polished. 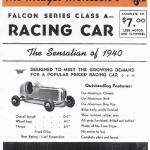 The car was designed for front wheel drive with a single cross leaf spring suspension in the rear. The example shown in the photos is powered by an Ohlsson .23 spark ignition engine with friction drive.